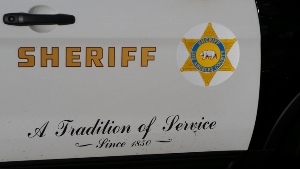 The Los Angeles County Sheriff's Department (LASD) is a law enforcement agency which serves Los Angeles County, California - - an area totaling approximately 4,084 square miles with a population of almost 10 million people. It is the largest Sheriff's Department in the world, with 18,000 employees. The LASD provides law enforcement to 40 contract cities, 90 unincorporated communities, 216 facilities, hospitals and clinics located throughout the County, 9 community colleges, the Metropolitan Transit Authority and 47 Superior Courts. They also provide services such as labs and training to smaller law enforcement agencies within the County. LASD is responsible in securing approximately 18,000 inmates throughout 7 facilities. The mission of the LASD is commitment to the humane treatment of those under our authority and care. They are guided by their principle values of Integrity, Accountability, Service and Ethics. Below is a list of the Los Angeles County Sheriff's Stations.